1. an ostensibly modest or self-deprecating statement whose actual purpose is to draw attention to something of which one is proud. 1. make an ostensibly modest or self-deprecating statement with the actual intention of drawing attention to something of which one is proud. "she humblebragged about how “awful” she looks without any makeup"
Need another example that isn't quite as contrived as those created specifically for a dictionary? "I use so little of my vacation during the year that I inevitably end up with time at the end of the year that I just don't know what to do with." 1) I'm such an industrious worker that I simply can't pull my nose away from the grindstone just for frivolities like vacations. Analysis: False. We simply don't have the freedom to make long/distant trips these days. 2) I get so much more vacation than the typical IT drone that I'm essentially rolling in it. Analysis: True. You stay with the same employer long enough, they get tired of the very sight of you and try to get you out of the office as much as possible. At this point, I think it's possible to get two more days per annum if I live long enough, but what I have is already quite enough. The upshot of all of this is that I had 24 days off, minus a three hour day when I went in basically just long enough to water my plants. I use this amount of time off to practice being retired, except with a steady income. As of today, I'm halfway through and have yet to run out of things to do. It doesn't help that the days are mighty short with regards to usable light, but it does help that we're having an El Nino for the first time since the winter of '97 - '98. First of all, the natural phenomenon called El Niño has nothing to do with Global Warming or Climate Change, or whatever it's being called this week. El Niño is defined by prolonged warming in the Pacific Ocean sea surface temperatures when compared with the average value. The U.S NOAA definition is a 3-month average warming of at least 0.5 °C (0.9 °F) in a specific area of the east-central tropical Pacific Ocean; other organizations define the term slightly differently. Typically, this anomaly happens at irregular intervals of two to seven years, and lasts nine months to two years.The average period length is five years. When this warming occurs for seven to nine months, it is classified as El Niño "conditions"; when its duration is longer, it is classified as an El Niño "episode." Whether weather like this is considered to be good or bad is obviously in the eyes of the beholder, or dependent on whose ox is being AlGored, if you will. Me? I'm all for it! Although, it does seem to bring with it a lot of low-hanging clouds and moisture. I think I might have to mow the yard in January this year. Which.... that beats being manhandled by the snow blower. With time on my hands, I finally got around to making the half hour drive out west to visit a huge antiques mall that I pass on my way out to visit my parents on those days when I can't fly there. Okay, I like vintage race cars too. Southern Airways was a regional airline (known at the time as a "local service air carrier") as designated by the federal Civil Aeronautics Board (CAB) operating in the United States from their founding by Frank Hulse in 1949 until 1979 when they merged with North Central Airlines to become Republic Airlines, which on October 1, 1986, then became part of Northwest Airlines, which, in turn, was merged into Delta Air Lines in 2008. Southern maintained corporate headquarters in Birmingham with operations headquartered at William B. Hartsfield Airport, near Atlanta. Southern Airways was billed as the "Route of the Aristocrats." and they used the slogan "Nobody's Second Class on Southern" in their television commercials. They were famous for their promotional shot glasses: for a time, differently designed shot glasses were issued each year. Original Southern shot glasses are valued by collectors of airline memorabilia. There's another place just as big only a few more miles up the road; I'm holding a visit to that one in reserve in case I run out of things to do. As far as flying goes, low ceilings and brisk winds have precluded flying. There was one good day, though. El Niño took a day off and we had an actual December day: 27°F in the morning, but clear blue skies to make up for the chilly air. I had two flights arranged. Austin was up first. For him I planned on working on pattern entries at uncontrolled fields. This was something like teaching Co-pilot Egg how to deal with traffic circles: "You should know the right way to do it, but don't be surprised when other's don't." - make left turns unless otherwise noted on sectional maps. etc. - enter the patter at midfield downwind at a 45 degree angle. Question: using the diagram above, how would you enter the pattern from the "wrong side" of the airport? This would be okay, I suppose, if 1) the wind conditions clearly favored one runway over the other, or 2) you know that you were the only plane arriving. 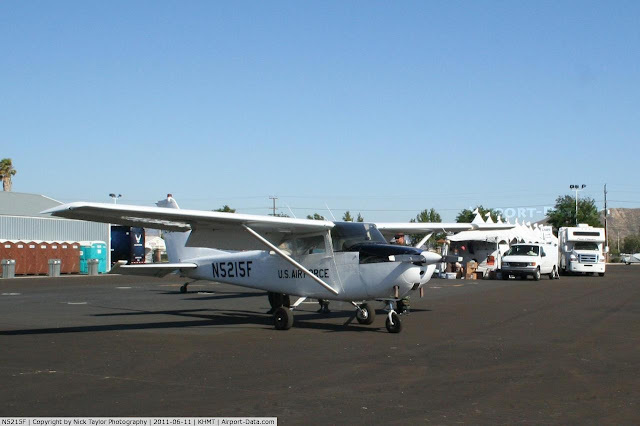 The problem with #2 is that you never really know that, especially at the more rural airports where it is not all that uncommon to come across a plane with no radios, or someone with radios that he doesn't know how to properly use. The risk is that you will be descending right into the path of an airplane using a lefthand pattern to land on the runway that you didn't choose. The problem here is that it flies right in the face of FAA "guidance." Rather than enter the downwind at the midfield and at a 45 degree angle, you would be potentially turning directly in front of an airplane already on the downwind. Even if it's not dangerous, it would be rude. This one just confused me. Why wouldn't I simply join the left downwind at midfield if I was so perfectly positioned to do so?? We took off early enough that no one else had yet figured out that a surprisingly good flying day had arrived unannounced. That was nice because it allowed us to choose our own landing direction at the airports we practiced at. We did a few of these "wrong side" pattern entries and it worked out well. 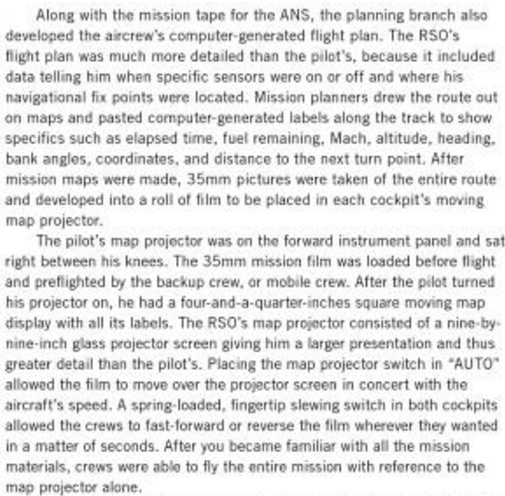 Near as I can figure, it worked to keep us out of any potential conflicts with pilots that had elected to land in the opposite direction, an even that can occur when the wind is either very calm or is flowing in a direction perpendicular to the runway direction. I wasn't entirely happy with it, though, so I modified it to handle those potential situations. At the top left, this is a case of arriving from a direction that would have allowed for a straight-in approach, but there were reasons not to do so. The idea here is to stay far enough away from the runway to not be in conflict with someone using a lefthand pattern to land on the runway from left to right. 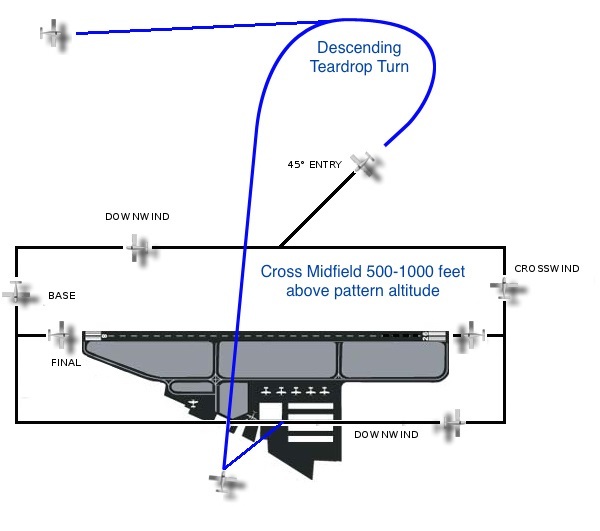 The plane at the bottom of the runway would be well positioned for a 45 degree entry to a lefthand pattern to land from right to left, or could simply cross over at midfield at a high enough altitude to be above the landing pattern, then make the descending teardrop turn to position itself for the standard entry for the left to right landing. The takeaway for me is that it makes sense to enter the Direct-To destination as a waypoint set up three or so miles off to the side of the airport rather than the center of the airport itself. This is actually very easy to do with the Skyview - maybe I'll make a tutorial video to demonstrate it. The next flight was with Bryon. I seem to have a thing going with one of the companies that provides us with contract workers when we need them - Bryan is the third of them that has flown with me. He's had a couple of flying lessons, but hasn't really pursued it with any kind of fervor. I know how that goes! He's been flying out of a place that must be at least an hour's drive away, and driving past at least one perfectly fine airport on the way. I figured with this being his first time in an RV-12, we'd just do a "getting acquainted" flight to visit two of the closer airports. Finally (whew!! ), Co-pilot Egg had a birthday and requested a trip to the Museum of the United States Air Force which, given how much I love the place, I was happy to grant. Little (well, completely) unknown fact about me: My first flying lessons were at Beale AFB. I started out my flight training by sharing the pattern with T-38s, KC-135s, U-2s, and SR-71s. I was in a raggy old 172. That 172 has since been repainted and moved to March AFB. Frankly, I'm surprised at two things: 1) that relic is still flying, and 2) this relic still remembers the tail number. Being in such a unique environment, I got to see neat stuff every now and then. One of my early solo flights had me as #2 for takeoff behind an SR-71. As he started his takeoff roll, one afterburner lit, but the other just kept firing the igniters without lighting the burner. I remember thinking "that doesn't look right..." just before the drag chute popped out and they aborted the takeoff. It was pretty cool to know where they were going!! Surprisingly, Beale eventually got boring. They had a lot of people there, but not a lot of work to do on airplanes that only flew twice a day across the entire fleet. I decided to volunteer for worldwide duty, which as an unmarried enlisted man, was the same as tattooing "Send me to Korea!" on my forehead. And that's exactly what happened. 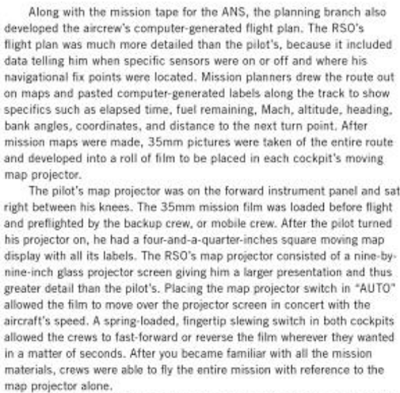 I was soon shipped overseas to work on RF-4C tactical recon jets, which suited me just fine. All-weather tactical reconnaissance version for the US Air Force, AN/APQ-99 (later AN/APQ-172) radar. Equipped similar to RF-4B but with a wider choice of camera fits, including a centerline pod for the gigantic HIAC-1 LOROP (Long Range Oblique Photography) camera, capable of taking high-resolution images of objects 100 miles (160 km) away. My primary function on the RF-4 was the support of the non-optical sensors, which in Korea was limited to the AN AAD-5 Infrared reconnaissance system, but in Germany (having voluntarily taken a "remote" assignment, I got to pick my next assignment) my work also included the maintenance of a massive side-looking radar pod. The Red Flag exercises, although very stressful, were way cool. Six weeks in Vegas with a $37.50 per diem (a lot of money for a SSgt. in 1986!) and the opportunity to cross train into really fun stuff like launching jets (wwaayyyy out of my job description, and purely voluntary) was the highlight of my five-year active duty commitment. So, halfway through my end-of-year sabbatical and still going strong!